EF_VI delivers half-round trip latency in the sub-microsecond range which is an order of magnitude higher than typical kernel stack latency. It performs network processing in user space; and as it bypasses the kernel it reduces the number of data copies and kernel context switches. Up to three million messages per second can be delivered via a single core. The Vela stack is comprised of modular software components that enable access to all major asset classes and liquidity venues to successfully execute latency-sensitive trading strategies and manage risk across multiple markets. In particular, the Vela Ticker Plant integrates SolarFlare EF_VI to achieve the lowest possible latency and highest available throughput from software-based market data solutions. It utilizes virtual interfaces to establish the relationship between EF_VI resources and the lock-free inbound queue of the thread that handles the data on that interface. This – combined with flexible configuration of threads, DMA buffers, and small buffer pools – allows Vela to optimize the deployment against the shape of the inbound data distribution. Deploying all of this on tuned commodity hardware reduces infrastructure costs, provides transparency and faster issue resolution as well as flexibility for future growth. In recent capacity testing against 48 OPRA lines, a single Vela Ticker Plant solution deployed on a single 2U server sustained 15.6 million packets a second without any data loss (double today’s production data). 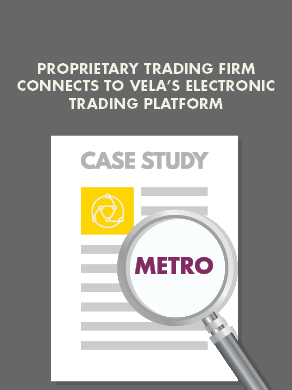 In summary, by providing the agility to respond to both market developments and the fast-changing regulatory landscape, without the high costs associated with supporting any bespoke hardware, the Vela Ticker Plant delivers the performance, functionality, and flexibility needed by today’s algorithmic traders to maintain a lead in a competitive marketplace.